When we posted the nyctaper recording of Yo La Tengo’s performance from this seventh night of the Hanukkah shows, we spoke about their encyclopedic knowledge of popular music. In the selection of Willie Alexander and The Boom Boom Band to open this night, it was as if YLT covered an entire volume of that history. In a forty year career, Willie has in Zelig-like fashion crossed paths with almost all elements of popular culture — from the Velvet Underground to the Rathskeller in Boston to French New Wave to even Stephen King. A summary of his career biography reads like a novel. It was with that level of experience that The Boom Boom Band took the stage Saturday last, and in true rock-n-roll fashion delivered a non-stop blistering forty-five minute set of pub/punk/power/poetic pop. As if undeterred by the passing of time, the band whose debut album appeared in 1978 performed energetic renditions of a career’s worth of material, and finished the set with an appropriately manic “Dirty Eddie”. We recorded this set from the same location as the YLT recording and the sound quality is outstanding. Enjoy! 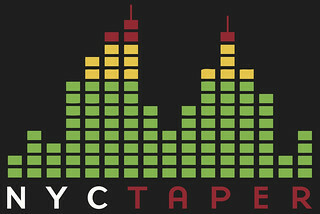 If you email nyctaper for access to this recording, we expect that you will PLEASE SUPPORT Willie Alexander, visit his website, and purchase his official releases directly from the store at his website [HERE]. You never cease to amaze me. I’ll download this one when I get home. My donation is on the way. When I lived in Massachusetts I used to see WA perform regularly. But it’s rare that he comes south; a real loss for me and for New York. Since I had to be out of town and miss this show I truly appreciate the opportunity to hear your files. Thanks again! the password;i have downloaded it. phobic.Is it possible to send it to me. Hey Sev, email me your address and I’ll mail out a couple of copies on Monday.